This exhibition includes three sculptures and two paintings on paper from 1962 and 1963 — seminal years for Anne Truitt. The artist’s first one-person exhibition opened in New York in February 1963, and the five objects featured here show a vision as original and advanced as that of any of her contemporaries. Each sculpture began with a wooden form constructed by a cabinetmaker to the artist’s specifications. Truitt then finished the artwork through a labor-intensive process involving many layers of paint, each mixed and applied by hand. 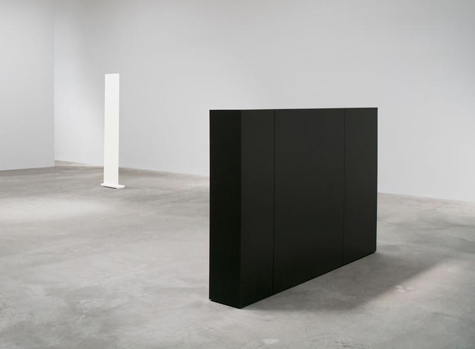 The three sculptures exhibited here employ a palette of whites and subtly hued blacks.